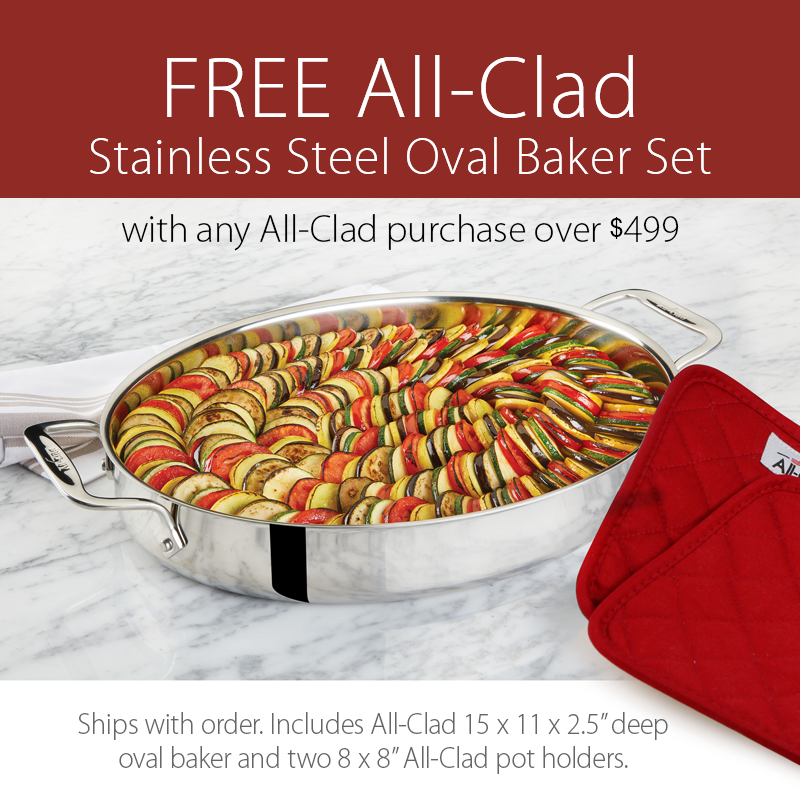 Crafted from high-quality 18/10 stainless steel, fortified with a thick stainless/aluminum disk at the bottom. The exterior is satin-finish, while the interior is highly polished stainless steel for easy cleaning. 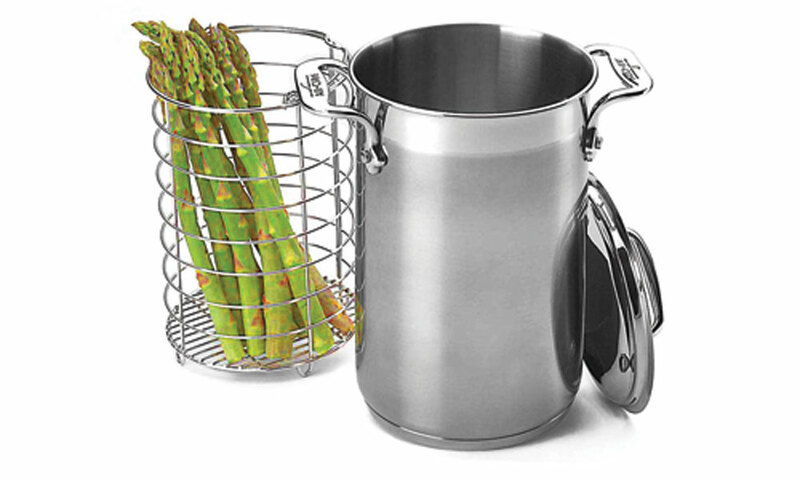 Included is a long, narrow stainless steel steamer basket that comfortably holds a large quantity of asparagus.